Marc Guggenheim and Al Ewing offer tantalizing teases for the X-Men and Inhumans! As the dust settles from Inhumans Vs. X-Men, writers Al Ewing and Marc Guggenheim step into the aftermath with INHUMANS PRIME and X-MEN PRIME respectively, both arriving March 29. With the ending of IvX promising to rock the world of readers everywhere, we do not dare give it away here. However, both writers proved kind enough to provide us some non-spoiler-y teases from each title to wet your proverbial whistle. “Black Bolt’s mad brother makes a desperate last stand…or is it only his first move?” Ewing wonders aloud. 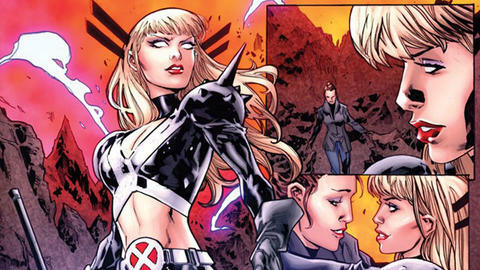 “In X-MEN PRIME, we learn not only how Kitty returns to the X-Men but how she becomes [their] new leader,” he explains. “After years of just fighting for their very survival, Kitty has returned to position the X-Men to pursue the latest iteration of Xavier’s dream,” states the writer. Join the ResurrXion on March 29 with INHUMANS PRIME and X-MEN PRIME!